We are celebrating over 50 Years of Service! INEX maintains high moral and ethical standards, committed to honesty, integrity, fairness and respect. We develop and keep mutually beneficial relationships with our customers and suppliers. Our principles are to create a work environment for our employees that is safe, and allows the employee to reach his/her potential while encouraging productivity, creativity and team work. To provide the greatest value to our customers by offering the most preferred products with the best service. 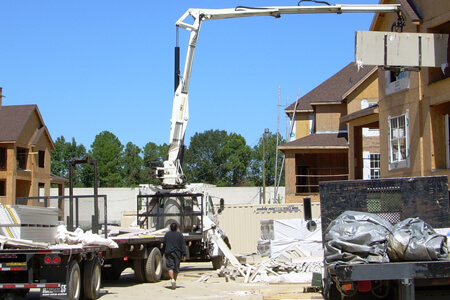 Allow us to help you during all of your construction process. Contact any representative and we will be happy to help answer any questions you may have. Our customer service is top-notch and there is no question we cannot answer. To maintain high moral and ethical standards, commit to honesty, integrity, fairness and respect. Whether it's a new project or renovation – we will be happy to help you every step of the way. I'm ready to start, now what? Contact any representative and we will be happy to help answer any questions you may have. Our customer service is top-notch and there's no question we cannot answer. What are our operating principles? To maintain high moral and ethical standards, commit to honesty, integrity, fairness and respect. To develop and keep mutual beneficial relationships with our customers and suppliers. To create a work environment for employees that is safe, and allow the employee to reach his or her potential level encouraging productivity, creativity and teamwork. What can I expect from INEX? 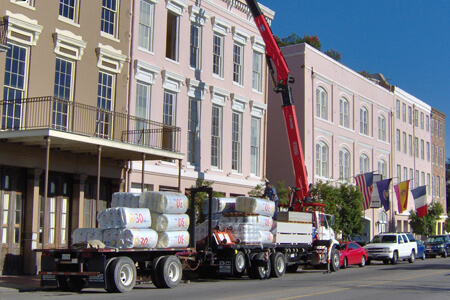 Our specialty is to deliver your drywall and other building materials where and when you want them. Our professional salespeople will work with you to bring you the best materials, with the highest level of service, at competitive prices. Contact your nearest Interior Exterior Building Supply sales office for a quote on your next project. How can we help you today? A representative is always standing by to help you. Whether it's a new project or renovation, we will be happy to help you every step of the way. INEX is your one-stop solution for all your building supply needs.